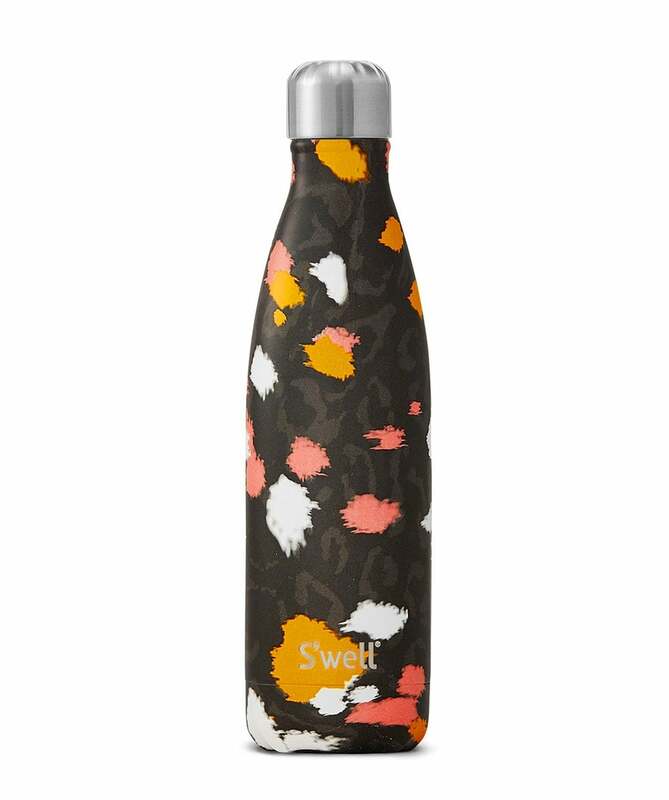 From the label's new Exotics Collection, the S'well noir jaguar water bottle features a unique bruststroke jaguar print. S'well bottles are expertly crafted from double walled stainless steel and will keep your cold drinks cold for twenty four hours or your hot drinks hot for twelve hours. Complete with a screw top and vacuum seal, this S'well bottle ensures you stay stylish and keeps your drink fresh.